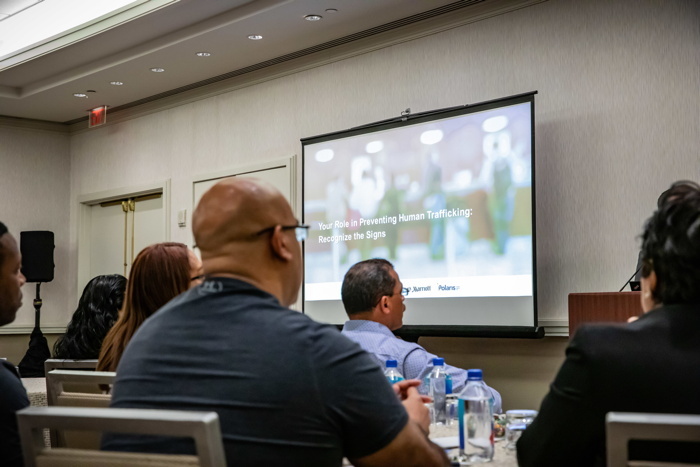 "Human trafficking is a horrific form of modern slavery that entraps millions of people around the world," said Arne Sorenson, President and Chief Executive Officer of Marriott International. "By educating and empowering our global workforce to say something if they see something, we are not just standing up for the most vulnerable in society, we are also protecting associates and guests as well as living up to a core company value -- serving our world." Marriott launched its mandatory human trafficking awareness training program for on-property staff in both managed and franchised properties in January 2017, underscoring ongoing efforts under the company's robust sustainability and social impact platform, Serve 360: Doing Good in Every Direction. "Hotels can unfortunately be unwilling venues for this unconscionable crime – and as a global hotel company that cares about human rights, we're proud to be training hotel workers across the Marriott system to spot the signs," said Dr. David Rodriguez, Chief Global Human Resources Officer, Marriott International. "There is no easy fix, but combatting modern-day slavery starts with awareness – and we now have a significant number of people capable of recognizing suspicious behavior and reporting it to management and, in some cases, law enforcement." Since launching the program, Marriott's training has directly resulted in young people being removed from dangerous situations. "Hotel workers wouldn't necessarily see a human trafficker visibly restraining a victim; they would typically see a scenario that is much more nuanced and harder to detect if you don't know what to look for," said Rodriguez. "That's why helping hotel workers identify the signs of sexual exploitation and forced labor is so important. This knowledge gives them confidence that they can do something to help, which is already having an important impact in our hotels." Through Marriott's training, hotel workers learn to observe and take notes about what they remember and then report their suspicions to a manager, who may then contact law enforcement. For their part, law enforcement officials say that this training helps enhance security in their community because greater awareness can lead to greater responsiveness both inside and outside of a hotel's walls. The training is having an impact far beyond Marriott International's workforce. The company donated the training to academia and to the industry through the American Hotel & Lodging Association Education Foundation, where the proceeds of the training bought by other lodging operators go back to support ECPAT-USA and Polaris. Hotel guests also can learn the signs. 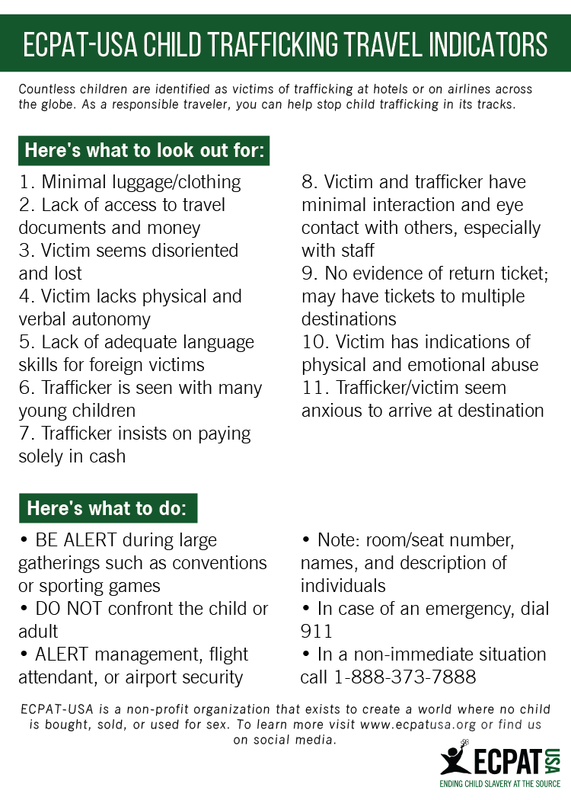 Guests who suspect trafficking or abuse should not confront the child or adult but should alert hotel management or security, dial 911 or their local emergency number for emergency situations. In the U.S., they can contact the National Human Trafficking Hotline at 1-888-373-7888 or text "BeFree" (233733).